Via Veneto was the decor in Fellini’s world famous movie ‘La Dolce vita'(1960). It is a film about rich playboys and moviestars in Rome, celebrating life in nightclubs at the Via Veneto. The scene of Anita Ekberg playing in the Trevi Fountain at night became immortal in the film history. The street is located between Piazza Barberini and Villa Borghese. It has lost some of its glamour, but the boulevard is still a place for the rich and famous. The luxury hotels, terraces and the exclusive designshops attract also many tourists. Barberini is the nearest metro station. In Via Veneto is The Hard Rock Cafe. This is an American restaurant chain. Food: hamburgers, chicken wings, spring rolls, nachos, potato skins and much more. If you want to go there: at their website you can ask a priority seating. Then you are sure that you will have a table and seats. Often it’s crowded with tourists. 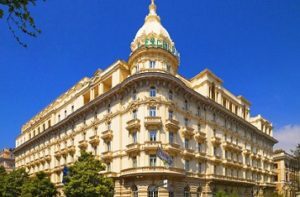 Ambasciatori Palace Hotel is one of the most popular luxury hotels in Via Veneto. 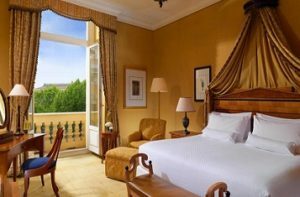 The accommodation has more than 1100 reviews (8.2). 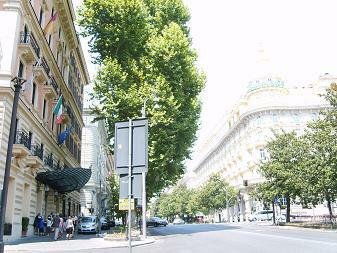 Compared with the other luxury hotels in this street Ambasciatori Palace Hotel has very competitive prices. 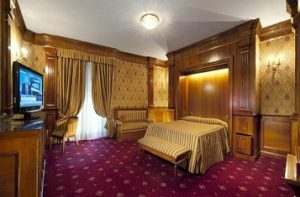 Grand Hotel Via Veneto is a 5 star hotel in Art Deco style. 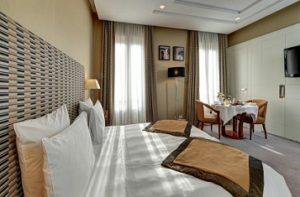 The accommodation has more than 620 reviews of satisfied costumers (8.6). The property has won the last four years an prestige award. 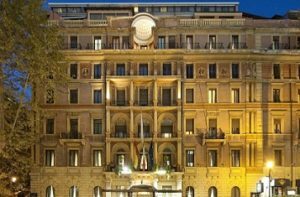 The Westin Excelsior Rome is a wellknown 5 star hotel with a large spa center. 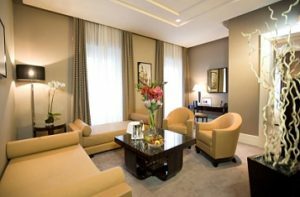 The Deluxe Double rooms are designed in Empire or Biedermeier style.